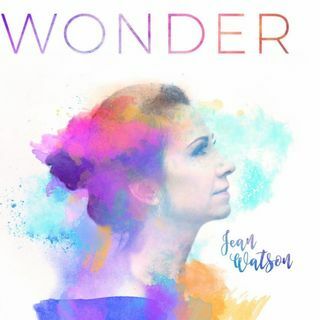 Classical violinist Jean Watson released “Wonder” on Oct. 14, 2016. Smith played the piano for one song, “I Can Hear Your Voice.” Billy Smiley of Nashville is the album’s producer. Watson’s work includes working with the Kalamazoo (Michigan) Symphony. You can listen to her on UCB Radio Ireland, where she hosts a daily inspirational radio program, ... See More “Jean Watson,” which she records from her Michigan home studio. “Wonder” is her eighth CD. Watson’s recent albums, “Steady My Gaze” and “Christmas...Not the Way It Seems,” opened doors for her to perform on CBN's The 700 Club, TBN's Praise the Lord, Cornerstone Television Network’s Real Life and LeSea Broadcasting's The Harvest Show, among many others. Watson told me she hopes anyone listening to “Wonder” will take away the concept of God’s grace. She had not planned out “Wonder;” indeed, she had last year completed her seventh album. “Wonder” was God’s idea, she said. Music is expensive to produce. She wrote one song on “Wonder”: “Everything Can Change.” “Wonder” is a worship album with instrumental music inspired by cultures from around the world. Watson is a fan favorite in the UK. She is especially popular in Ireland, where she has long hosted a daily inspirational radio show which can be heard worldwide on UCB Radio Ireland. So, her affinity for Celtic sound comes as no surprise. Producer Billy Smiley, who has worked with Watson on her last two projects, suggested highlighting her Celtic-flavored songs and ethereal violin performances on the new CD and moving toward a more world music sound. When putting on shows, she does not perform her music for people’s entertainment, she said, but to worship the Lord, who has “done such marvelous work in me.” She does her ministry to motivate people’s hearts to be moved and to change. Indeed, she does prison ministry for that very reason. She was born into a musical family and studied violin performance at a conservatory. She said she laid her career aside when she got married and had four children. Things were not perfect, however. Watson has such a heart for God because of His grace. Fifteen years ago, she was reeling from divorce, having no job, depression and her oldest son’s drug addiction. She called out to God for help. Psalm 116:4 caught her eye while reading the Bible (the verse talks about calling out to God, save me). Some things “radically shifted” in her life. She asked God to help her. Someone called out of the blue offering a job playing the violin. Her landlord heard her singing and returned her rent money, saying singing is what she was supposed to do with her life. She began recording CDs and traveling around America to perform. She began performing in Europe as well. God used the music to change people’s lives, from street corners to coffee shops and more. More information is at jeanwatson.com or Suite28records.com.